This article is written by Kim Phagan-Hansel and originally appeared in The Chronicle of Social Change. Back in 2004, there were more than 118,000 kids waiting to be adopted from foster care. Advocates, child welfare professionals and policymakers across the U.S. were desperate for solutions that would land these vulnerable youngsters in the homes of loving, permanent families. That year, the Dave Thomas Foundation for Adoption came up with a groundbreaking idea to do just that. The foundation was launched in 1992 by Wendy’s restaurant founder, Dave Thomas, who was adopted and had long been a supporter of foster care and adoption awareness. Wanting to approach the challenge of finding families for children with a business model, the foundation created Wendy’s Wonderful Kids in 2004. The newly founded program would focus on recruiting adoptive families for the hardest to place children — those who were older, had a special need or were in a sibling group. The Wendy’s Company has continued to serve as a mainstay of support for the Wendy’s Wonderful Kids program. Today, Wendy’s Wonderful Kids recruiters can be found in every state and Canada. And thanks to a commitment of up to $200 million by a massive funding initiative involving some of the largest charitable foundations in the country, the program will be scaled up in key states, promising to dramatically change the life course of tens of thousands of foster children over the next 12 years. The central proposition of Wendy’s Wonderful Kids is to help pay for and train specialized caseworkers focused on finding permanency for older youth in foster care. In a world where child welfare worker caseloads can exceed 30, Wendy’s recruiters never work with more than 15 children’s cases at a time. Using an eight-point model, recruitment is focused on family finding followed by recruitment within a child’s community. Because a third of the youth served by Wendy’s recruiters have experienced six or more placements, recruiters focus on getting to know the child and building trust. As of June 31, 2018, almost 7,300 adoptions and guardianships have been finalized since Wendy’s Wonderful Kids was launched 13 years ago. Today, there are 393 recruiters working with 5,277 children in the U.S. and Canada, and that number is growing rapidly as the program expands. In some places, Wendy’s recruiters are employees of the state, while in others they are employees of private agencies that oversee services including foster care. 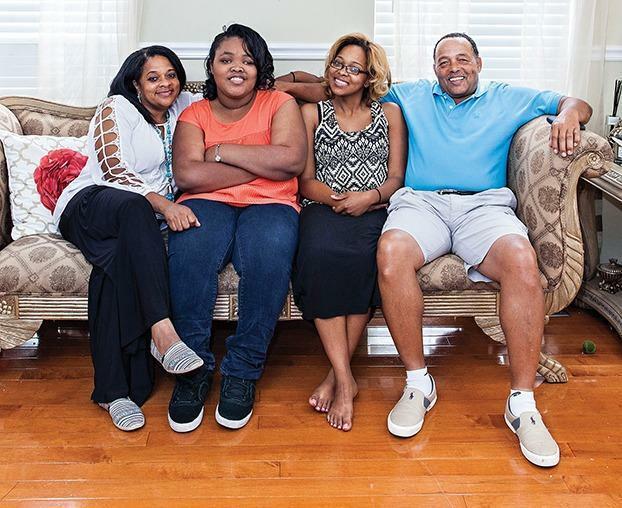 In North Carolina, Children’s Home Society of North Carolina, which does foster and adoption placements throughout the state as well as education programs, oversees the Wendy’s Wonderful Kids program. That high-level focus on the child helps the recruiter identify the important people in a child’s life, such as teachers, Girl Scout leaders or family members’ whose relationship with the child was severed during the traumatic period when the child entered foster care. A 2011 evaluation of the program carried out by ChildTrends, a D.C.-based research firm, found that the Wendy’s Wonderful Kids program worked three times better than the “business as usual” recruitment models for older children and those with clinically diagnosed mental health disorders. With those results in hand, the Dave Thomas Foundation did further testing in 2012 when it partnered with Ohio to weave the program into the state’s child welfare system. Since then Ohio has committed $1.7 million annually to continue the statewide program. It was the first state to do so. In 2015, Wendy’s Wonderful Kids’ work in Ohio caught the attention of the Edna McConnell Clark Foundation that was in the process of creating a special group of foundations, known as Blue Meridian Partners, that could aggregate funds from multiple organizations to invest in a few big ideas. The Dave Thomas Foundation for Adoption officially submitted a proposal to scale its Wendy’s Wonderful Kids program across the country in October 2016. In 2017, Wendy’s Wonderful Kids became one of six strategies looking to scale nationally that Blue Meridian Partners has made large-scale philanthropic investments in. Dave Thomas Foundation has seen a 26 percent increase in assets in the last two years, becoming one of the biggest multi-state operators in youth services. 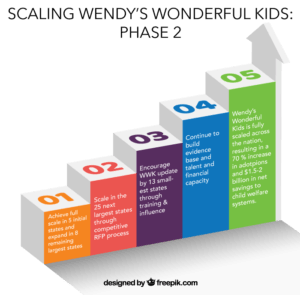 The initial $35 million, four-year financing these investors are providing allowed Wendy’s Wonderful Kids to scale in five states — Kentucky, Louisiana, New York, North Carolina and Washington. Just a year into the ambitious expansion plan, they’re already seeing success and have added two more states – Colorado and Utah – to the lineup. In January of 2017, the expansion clock started ticking. One Year In: How’s it Going? Because the expansion was designed to be a partnership between the state and Wendy’s Wonderful Kids, states are expected to also make a financial investment. Sometimes that has meant passing legislation to fund the program or re-allocating child welfare funds toward it. In addition, the states chosen were distinct in size, demographics and funding structure, with a mixture of county-based child welfare systems and state-based systems. The goal in seeking out this diversity was to test how the program worked in varied environments. In North Carolina, the state has committed $3 million annually to support the expansion. 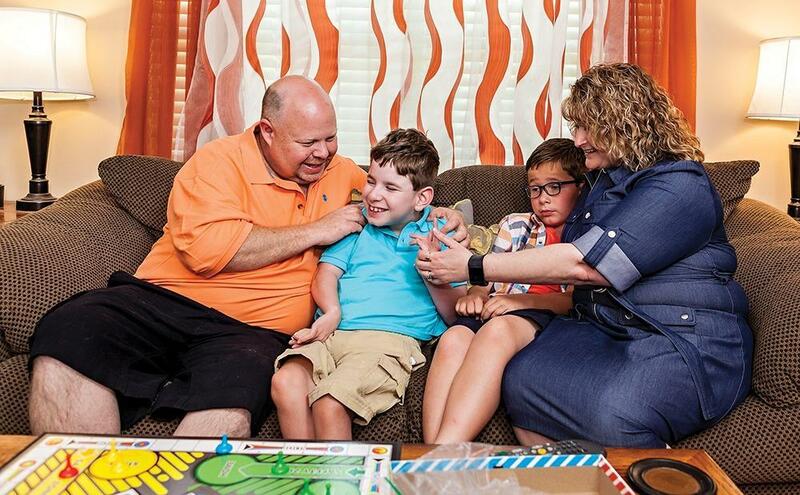 Getting legislators behind the program meant helping them understand the positive outcomes for children, and the cost-savings potential of limiting expensive congregate care and foster home placements. “As they understood that, it really started to make sense,” said Starnes of Children’s Home Society of North Carolina. There are currently 35 Wendy’s recruiters in North Carolina today, an increase of 22 recruiters in the last year. Another team of recruiters will be added by November. There are currently 393 cases and that number is growing quickly. Washington state’s expansion was finalized in April with 24 Wendy’s recruiters statewide facilitated through Children’s Home Society. 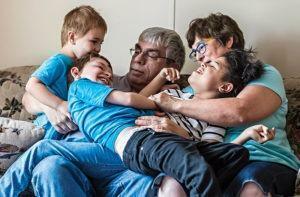 The state has allocated $500,000 for a two-year contract with the Dave Thomas Foundation for Adoption, something Debbie Marker, adoption and guardianship program manager for Washington State Department of Social and Health Services, is excited about. “Children’s Administration is excited to partner with the Dave Thomas Foundation for Adoption to improve placements for legally free youth and those in need of permanent homes,” Marker said. Each state that launches the program is required to invest funding and is projected to take over financial responsibility for the program by year five or six. Nationally, scaling the program has brought different challenges to the Dave Thomas Foundation, which has also had to increase its fundraising to grow the program. In the first year, an increase of $1.5 million was required and in the second year, an increase of $3 million was needed to meet the parameters of the Blue Meridian Partners agreement. The Dave Thomas Foundation for adoption is expected to bring $20 million in new funding to the program in this four-year first phase of the scaling process. An endowment has been established that makes it easier for individual and corporate donors to invest in the program and so far, the strategic planning around fundraising has seen positive results. “We have exceeded our goals to date,” Crumbacher said. Year Two: What Comes Next? The quick expansion has meant doubling staff from 18 to 38 at the foundation’s Columbus, Ohio, headquarters in the past year. By 2028 that number will grow to 100 staff members. Soronen said it can be challenging to keep up with that rapid growth. Most of year two will be spent settling into the new and expanded footprint of the foundation and the Wendy’s Wonderful Kids program. “We’re keeping a close eye because this is our learning year, so we’ll be keeping a realistic eye on what scaling means,” Soronen said. So far, it has meant strategically adding program and development staff, as well as adding two more senior-level vice presidents. In addition, ChildTrends is compiling information for a five-year survey of youth who have been adopted thanks to the Wendy’s Wonderful Kids program. Preliminary findings may be available as soon as the end of the year, Soronen said. 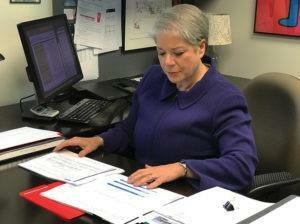 Dave Thomas Foundation for Adoption President & CEO Rita Soronen reviews data from a national survey that shows how attitudes toward foster care adoption are changing. Down the Road: What’s in the 12-Year Plan? By 2028, projections show that Wendy’s Wonderful Kids will have served 58,000 youth and 70 percent more adoptions will have taken place with Wendy’s recruitment efforts than had the program never been scaled. By that year, an estimated $1.5-2 billion will have been saved by the states working with Wendy’s Wonderful Kids, based on the ChildTrends findings from Ohio. For the Wendy’s Wonderful Kids program that means focusing on where and why it all started — for the kids who were languishing in the foster care system for years without permanency. The average age of children adopted through Wendy’s Wonderful Kids is 12, and 82 percent have special needs. One-quarter of the kids in the program had a prior failed or disrupted adoption, and for 86 percent minimal or no recruitment efforts had been made on their behalf, according to Soronen. Note: The Dave Thomas Foundation has made charitable contributions to Fostering Media Connections, the parent organization of Fostering Families Today and The Chronicle of Social Change.